In 2007, I took the first calls from landowners concerned about the proposed Keystone I pipeline. If you've never heard of it, that's no surprise. It's a huge pipe running tar sands diluted bitumen down the eastern side of the Dakotas, eastern Nebraska, and northern Missouri to refinery capacity in Illinois, but when our little band of rebellious lawyers at a new nonprofit called Plains Justice first dug in to fight it, we couldn't get our own mothers to pay attention, let alone Congress. The reason you've heard of Keystone I's younger brother, Keystone XL, is that by the time TransCanada moved on to that project, we'd been studying the tar sands pipeline hydra for a couple of years and had figured out how serious it was. We had noticed that Keystone XL was routed across the Ogallala Aquifer. Staff attorney Paul Blackburn had requested stacks of pipeline safety data through the Freedom of Information Act and started writing technical reports that got real media attention. We had a blog. I made the first calls asking experts on Great Plains hydrology to weigh in on the risks. We started shouting. This time, others took up the cry. Today, Keystone XL is a nationwide environmental battle. That's great, it really is. People need something specific to fight for on climate, beyond the seemingly futile clamor for national legislation. "No eminent domain for private gain" is a great slogan. The U.S. Supreme Court decision in Kelo v. New London, which approved a city's condemnation of private property for a private urban development project, might have some justification in its context, but as a broader rule, it's all wrong. The crazy idea that a corporation should be able to force its pipeline, railroad, or other infrastructure for private profit onto an unwilling landowner when no meaningful public good will result is just that: crazy talk. Property rights should mean something. Take a few examples from the high plains region where I practice. In southeastern Montana, a partnership including Arch Coal and Berkshire Hathaway's Burlington Northern Santa Fe railroad is pushing for a 40-mile rail link across open ranch land from a proposed new coal strip mine to the main railroad. My clients have been fighting this project in one form or another for more than thirty years. The railroad would invade tribal burial sites and bisect an area identified as eligible for listing on the National Historic Register as a rural historic district. It would run through an Amish family's barn and farmyard and devastate the character of a cohesive rural community for the end purpose of shipping coal to Asia. For this, we use eminent domain? 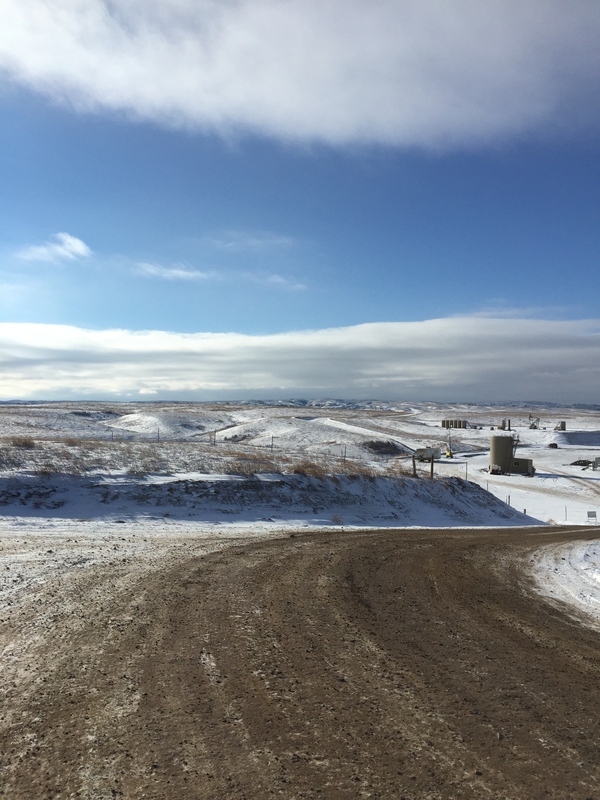 In North Dakota, private landowners are defending against condemnation proceedings by Enbridge, the people who brought you the 843,000-gallon Kalamazoo River pipeline spill in 2010. Enbridge now proposes the "Sandpiper" pipeline out of North Dakota's Bakken oil play, across Minnesota to a terminal in Wisconsin. Oil companies are already laying off employees in the region - the boom is showing signs of serious strain. Documents filed with the Federal Energy Regulatory Commission suggest that additional pipeline capacity along Sandpiper's route isn't needed. Minnesota regulators are balking. But Enbridge pushes forward to use the government's sovereign power of condemnation to seize the pipeline right-of-way from unwilling landowners. For this, we use eminent domain? 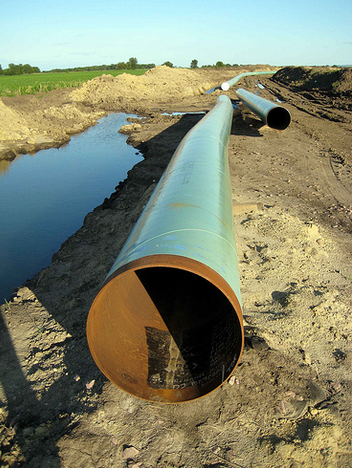 As the Keystone XL media campaign has geared up, however, new private energy projects seeking eminent domain are popping up as perennially as the grass. If successful, a number of them will run over my unwilling clients, who can't seem to make themselves heard above the KXL hubbub. The larger problem is the way we authorize large so-called "linear projects" in the U.S., which makes it very hard to fight dirty energy coming through your front yard. Even if the president vetoes Keystone XL legislation, the laws that allowed it to come to the brink of reality will continue to allow many other fossil energy projects to trample resistant landowners. We need better tools to fight back. The Fifth Amendment enshrines the essential component of a "public use" for a taking of private property. Eminent domain comes from an ancient understanding of the sovereign power of the state - back then a monarch, now our representative system - to take land needed to achieve the essential purposes of government. People need roads and parks and all sorts of amenities that we couldn't have if the government couldn't occasionally take what's needed for them. Modern eminent domain in the U.S. has evolved far beyond that. I'm constantly astonished that so-called conservative politicians support the sort of bare-knuckled government land grabs represented by condemnation today. Is it okay because the government then hands over the seized land to private developers? Not in my book. Somewhere in Congress, there must be a legislator who sees Keystone XL as a symptom of a much larger problem with condemnation powers. Maybe even in the White House, someone might find inspiration to take the long view and say that enough is enough. Here and there, the states are moving, but this is a national problem. Keystone XL isn't a fight about a pipeline, it's a fight about the right of the people to self-determination and the right of a landowner to stand at her property line and say to even the largest corporation: "This far and no further." The people are showing their willingness to fight. It's high time our elected leaders showed some backbone on the abuse of eminent domain.